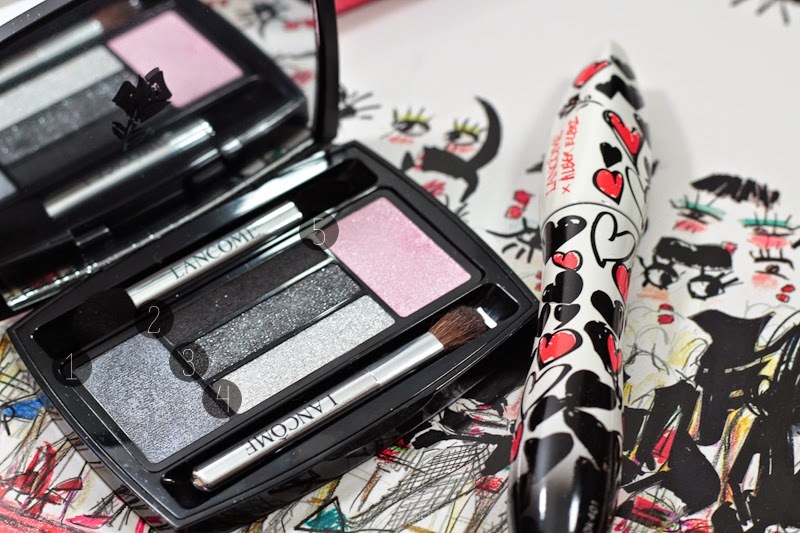 I have been loving the new Lancôme Show by Alber Elbaz collection. Not only do I love the products, but it doesn't hurt that the packaging is stunning. I did an overview of the collection before it launched, but here's a glimpse of the products in action. I have the Hypnôse Drama Eyes palette, which is all about dramatic smokey eyes. 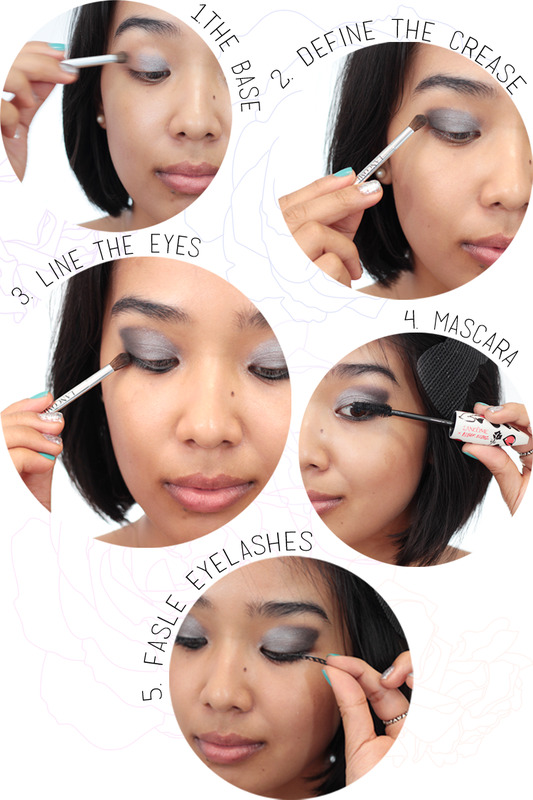 Now, what better to pair with smokey eyes than bold lashes? 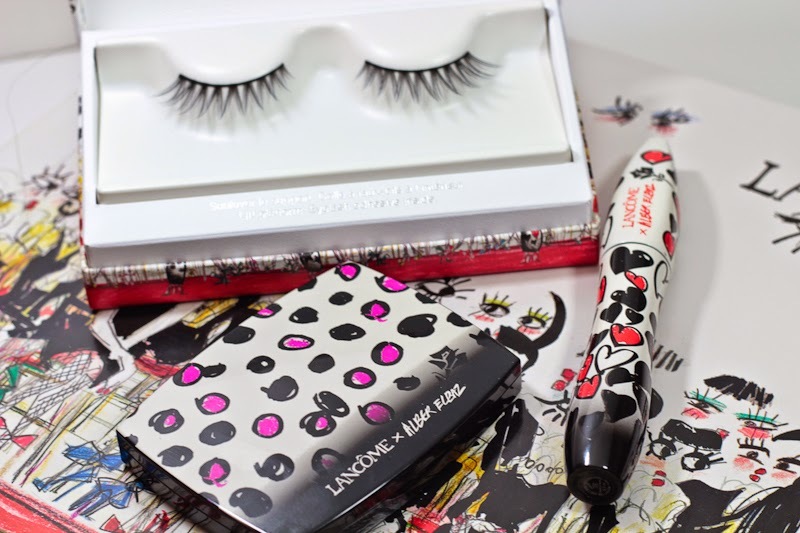 The lashes in this collection are Lancôme's first pair and they're beautiful. They're eye-catching and dramatic, but still wearable. They are housed in a gorgeous box and they even come with their own lash glue. They're definitely a collector's item -- but I'm not one to just look & not touch. 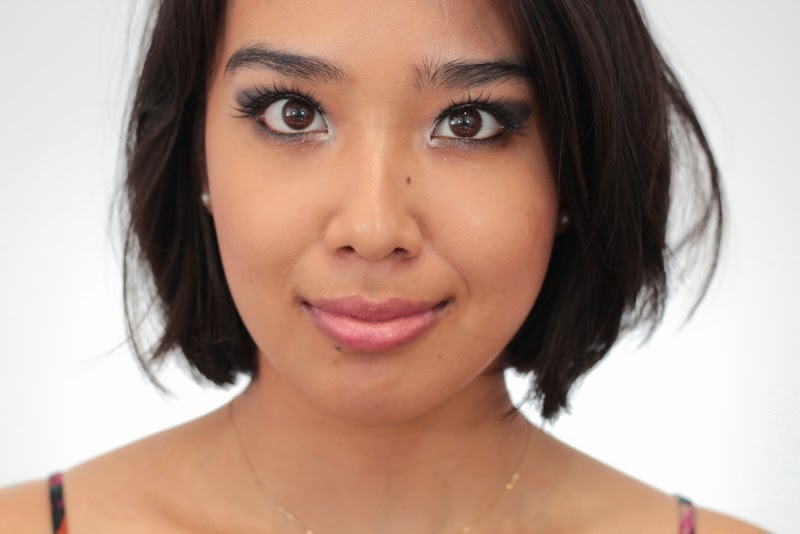 This is one of the looks I created while experimenting with this eye shadow palette. These shadows are creamy, smooth, and pigmented. There's quite a bit of shimmer in 4 out of 5 colours, but there was minimal fallout. These shadows can be used wet or dry, but I just used them dry. I used #1 (a silvery grey) all over the lid, defined the outer "v" with #3 (a shimmery charcoal black), lined the eyes with a black eyeliner & #2 (a matte black), and then added #4 (a shimmery silver) in the inner corners. The only tool I used was the mini brush that came with the palette, it worked quite well. I added mascara, using the Hypnôse Doll Lashes, and then applied the false eyelashes using the clear glue that it came with. Of course clear glue never really dries completely transparent, so I added a bit more liner to blend everything in. On my cheeks, I'm wearing a light applicatioin of MAC's Blushbaby and the lips are a pinky "my lips but better" lipstick from Lancôme. The name has rubbed off, but it's from the L'Absolu Nu line. I absolutely love this post! I love the mini tutorial, do you take all of your pictures yourself or have someone help you? The eyelashes look great on you!! awesome eye palette! I love it! Such a fun look! Very pretty!